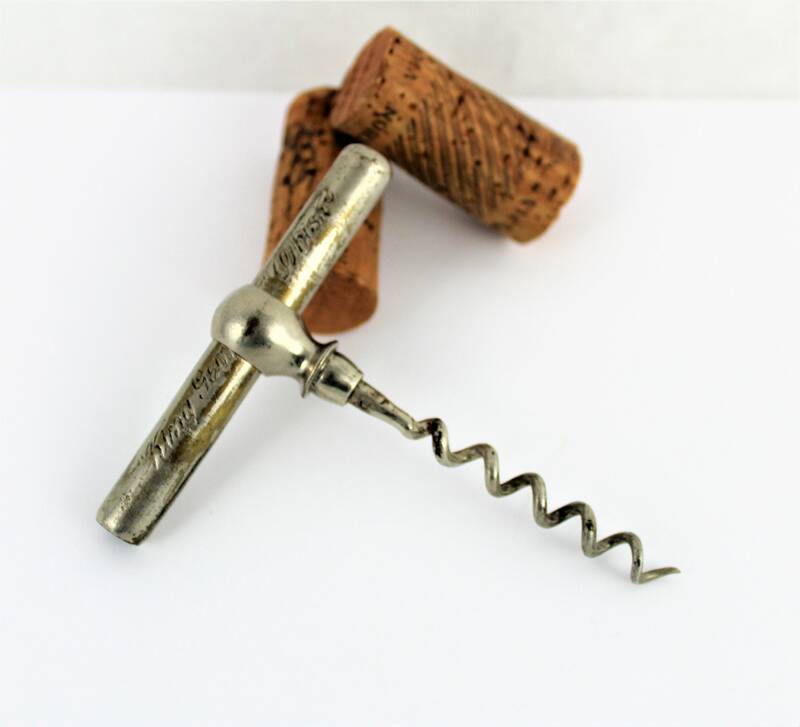 We have for sale a Vintage King George IV Whiskey Corkscrew Advertisement Corkscrew. 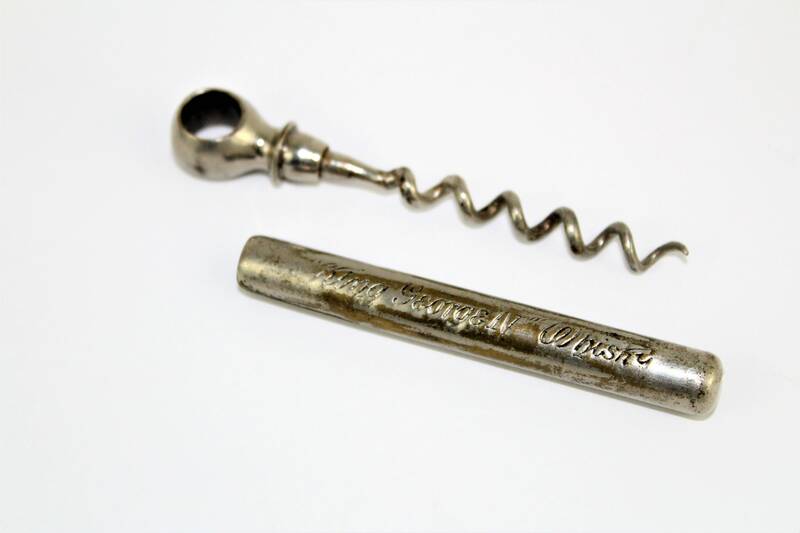 Wonderful Early 1900s Picnic or pocket style corkscrew with the advertisement imprinted into both sides of the sheath. 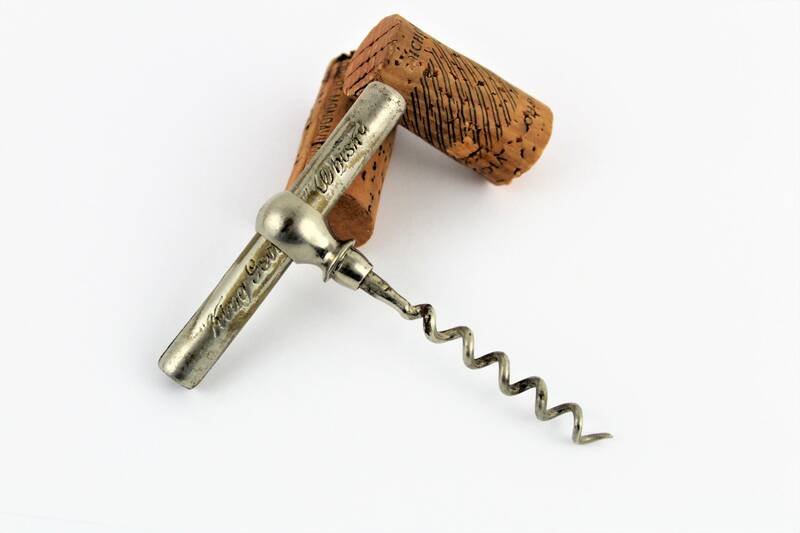 This a very collectible style of corkscrew. 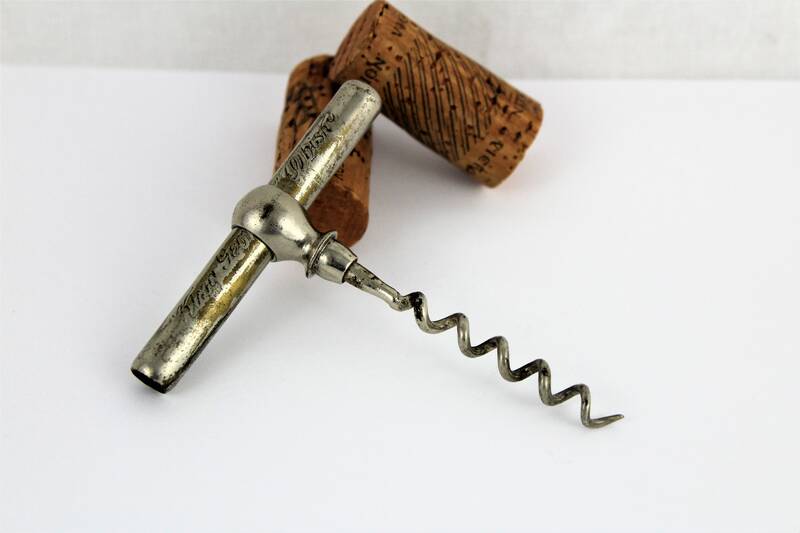 Some think it the sheath is damaged when first looked at but that is wrong the sheath has two ¾” cuts at the open end to allow it to securely snap over the shank of the corkscrew when stored. Marked: King George IV Whiskey, The Distillers Company LTD. 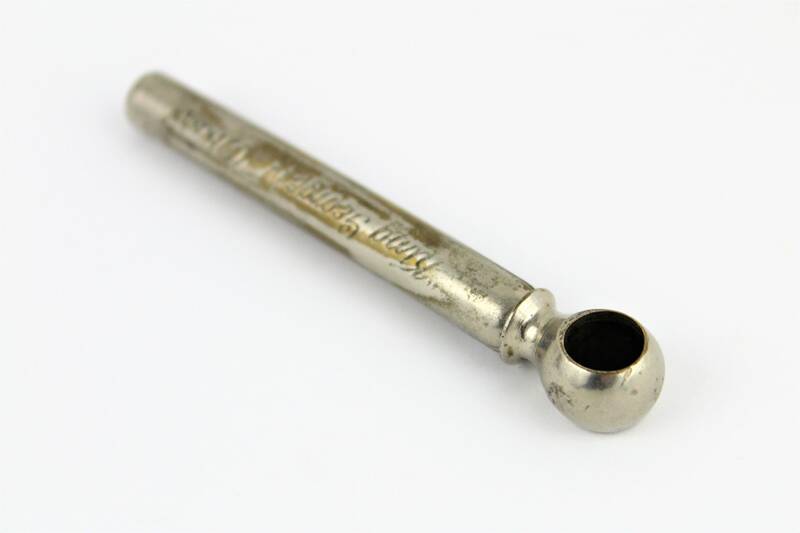 Condition: very good with plating lose.